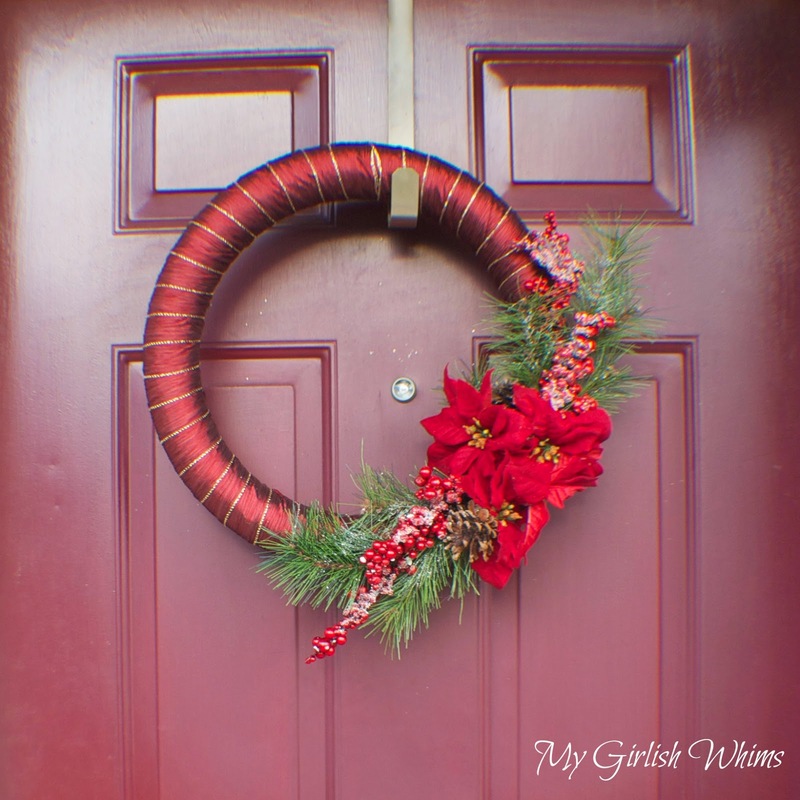 This DIY Christmas Swag Wreath is easy to make and adds the perfect festive pop to any front door for this holiday season! One of the things I really HATE about our house is that there is no basement. It seriously limits our storage options! We do have a pull down attic though, so all of my seasonal decor gets packaged up in Rubbermaid tubs and stored up in the attic until that season rolls around again. I refuse go up in the attic though so it's always quite the display of begging, pleading, and a couple of "why-aren't-you-capable-of-doing-this-yourself" being thrown around to make the hubby climb up into the attic and dig around for the right tubs and bring them down again at the start of each season. After all that back and forth is done though eventually I get my goodies :) While sorting through my Christmas tubs this past weekend I pulled out my old DIY Christmas Ornament Wreath and after two years of hanging on my door and being crammed into tubs in the attic it was looking a little saggy and depressing. 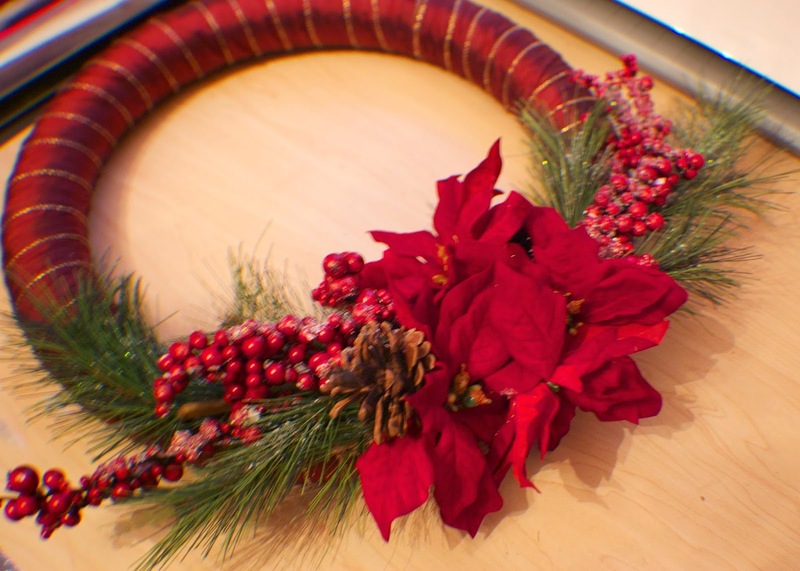 Depressing is NOT a good mood for the upcoming Christmas season so I decided it was time to make a new Christmas wreath! 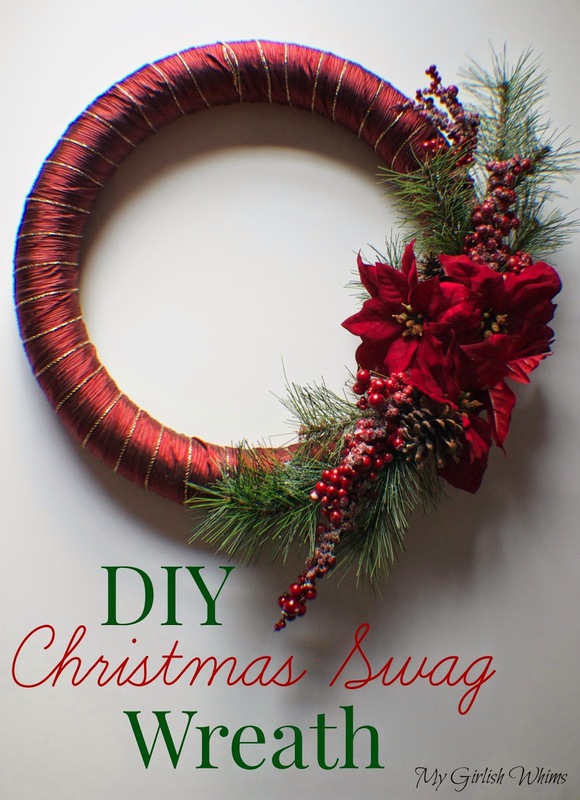 This DIY Christmas Swag wreath is easy to make and won't take you too long either. 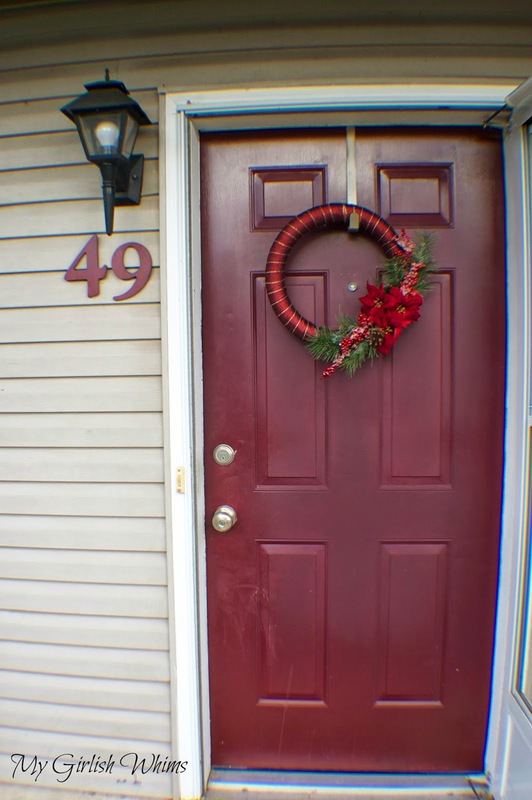 I made it in a maroon color scheme to be Christmasy and to match my front door, because, ya know, I'm obsessed with matching everything. I grabbed all these supplies at Michaels. 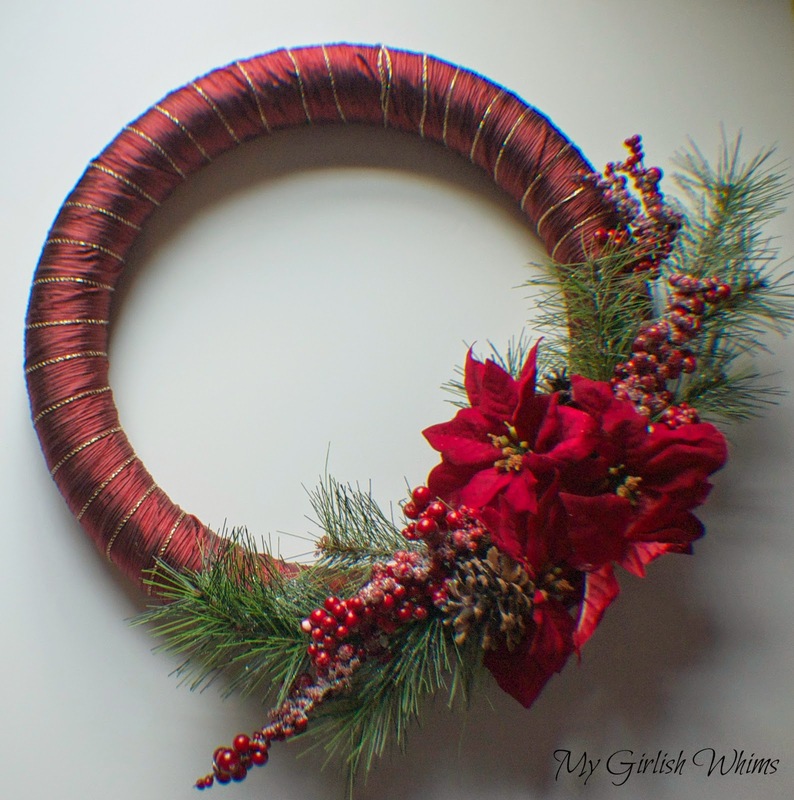 I used a maroon and gold wire trimmed ribbon, Styrofoam wreath form, some festive sprays with berries and pine tree branches, and some faux poinsettia flowers. The finished product looks perfect on my front door! This was my first Christmas craft of the season and it's gotten me hooked, I'm am so ready to start crafting some more Christmas projects! Too bad it seems like I'm a little far behind the curve in bloggy land. I should have started preparing around Halloween hah. 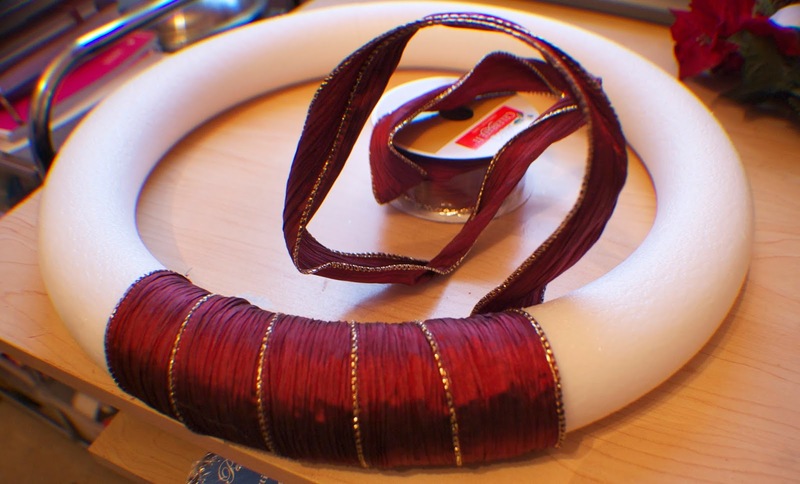 Oh well, even if I'm a little late I will keep sharing what I am making. 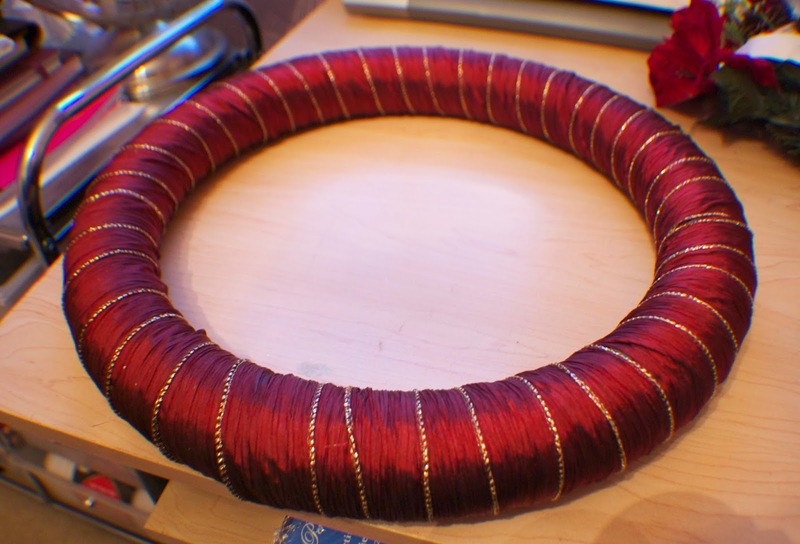 I must remember to verrrry carefully package this new wreath up at the end of the season so I don't end up with two limp and depressing looking Christmas wreath's next year. 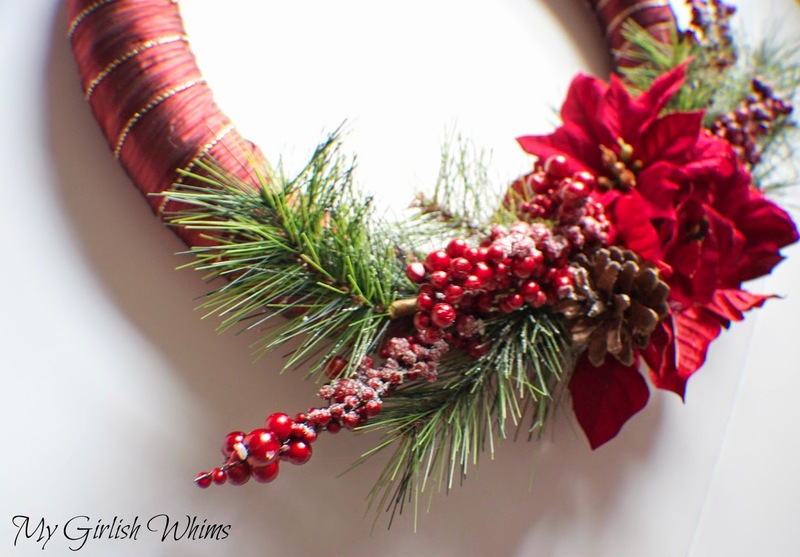 I just love the details in this wreath, it has to last for more than one season! 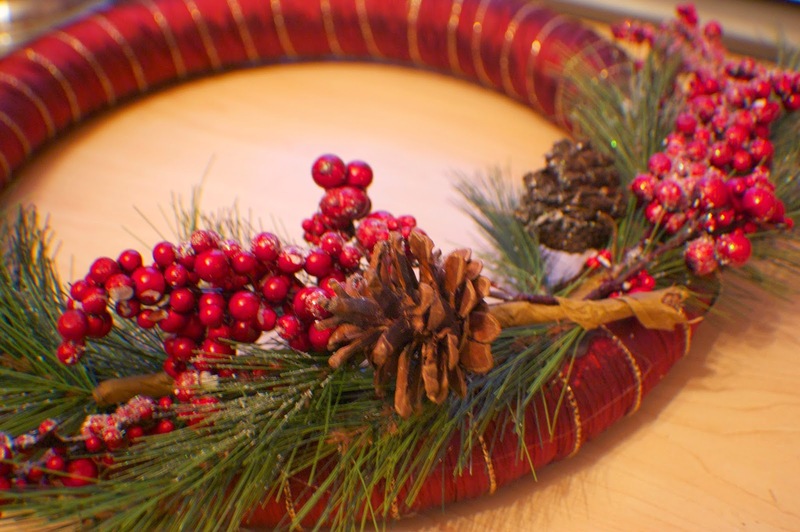 Do you make a new wreath for each new season or do you try to make yours last? 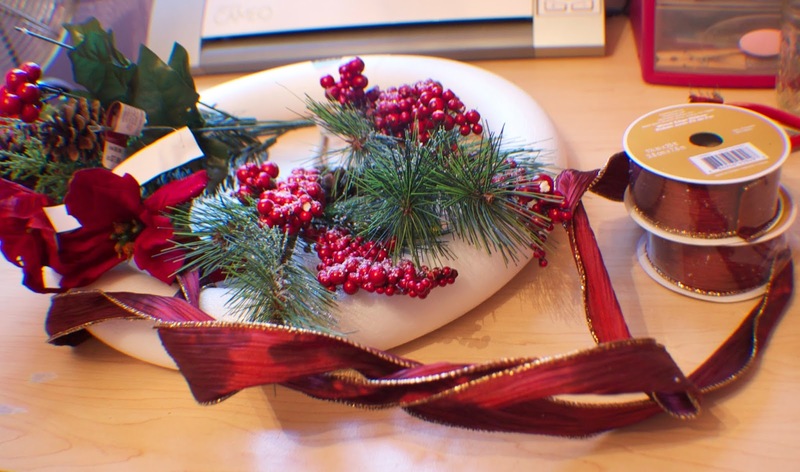 Happy Christmas Crafting!!! !